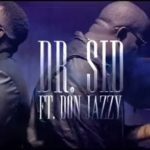 Is Don Jazzy Still Nigeria’s Biggest Producer? 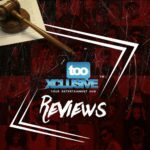 Previous: What Peter And Paul Okoye Need To Understand? 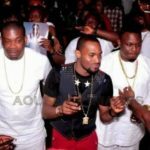 Mavins Records boss, Don Jazzy was at a time the biggest producer in Nigeria, from his days at Mo’Hits record. He ruled the industry and some believe he still does. In the last decade, Don Jazzy is arguably the biggest producer of Africa, he has worked with Jay-Z, Kanye West, Beyonce among many other International stars. However, with the reemergence of the new school producer, the Afrobeats sound has been redefined and it’s no longer the same as when Don Jazzy was the boss of it. 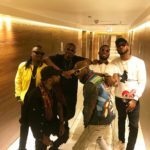 This raises the question of whether Don Jazzy’s throne is vacant or not? 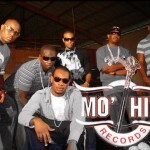 Mo’hits To Hold Reunion Concert? no for now. he has dropped form. but he remains the greatest so far. E ya for way… his kind of music is no more invoke. But he has forgotten it all about talent he can still switch! If by biggest producer you mean the Nigerian producer with the biggest hits, wealth, personality, respect, fans and loyal Artistes, then Don Baba is definitely the biggest producer out of Nigeria and even Africa at the moment. But if by biggest you mean current form and in demand, then he’s not but not far from the top. Sometime ago in a interview, he said he would be handing over to the new generation, so I guess that’s what he’s done. Don Jazzy remains the Dr Dre of Nigerian music. You must always give him the respect. No he’s not Sarz is, have you heard come closer? Bad energy?